This rich, chocolate confectionery is fun to make for any special day. 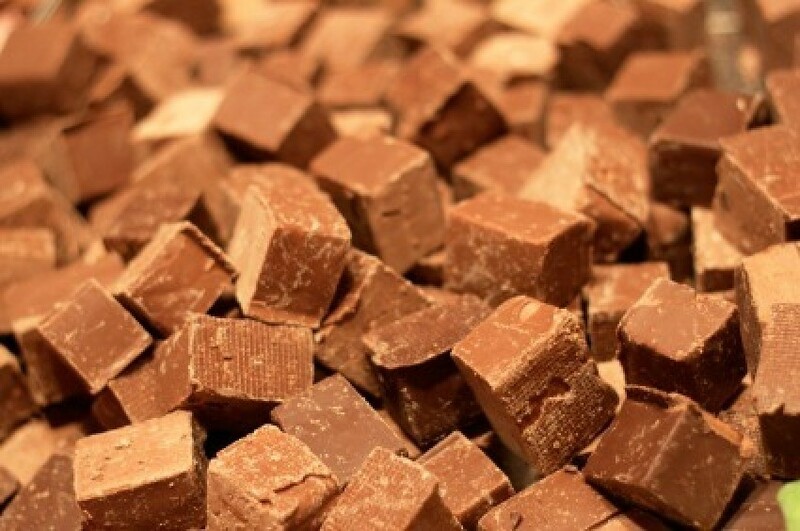 This guide contains fudge making tips and tricks. When making fudge, use a wooden spoon not metal. Heat from the fudge will go to the spoon and it takes longer for the fudge to come to the right stage. Fudge is easier to cut if you first remove it from the pan. You can do this with a little preparation ahead of time. Butter your pan, and then lay a strip of waxed paper across the pan about 4 - 6 inches wide and long enough to stick out over the edge on each side. Press it down against the buttered pan. Pour your cooked fudge in and let it cool. Invert the pan onto a cutting board or a cookie sheet. Grab the waxed paper "handles" and pull gently. The fudge will drop out of the pan. Lift the pan off and it is ready to cut. No digging out the first couple pieces. Prepare the pan you pour your fudge into ahead of time by spraying it with Pam. Then cut a strip of waxed paper about 4 inches wider than your pan, press it into the bottom of the pan. It doesn't have to reach to both ends of the pan. Spray again lightly with Pam. Pour your fudge into the pan.When it cools and is ready to cut, turn the pan upside down on a cutting board. Grab the waxed paper on each side and pull. The fudge will drop out onto the board and be ready to easily be cut into squares. No broken pieces trying to remove the first couple from the pan. When making fudge cook to soft ball stage. Add 1 tsp. vanilla and at least a half an 18 oz. jar of peanut butter and you will never have fudge that isn't delicious and perfect. Hi All - I made Christmas fudge, didn't butter or line the glass dish & now I cannot get it out of the pan without destroying it physically. Hmmm, my first time - Any suggestions on how to remove the fudge without ruining it? Do you have a second dish that you could prepare? Some of the fudges that I make, if put in the microwave, would soften. Could you try that, though don'tget it too hot, and remold in a new pan? What about scooping little spoonfuls out and making fudge balls, freezing them and once frozen, dip in melted chocolate for fudge balls? My girlfriend makes peanut butter balls this way. Good luck! If you put it into the fridge, it should shrink a little and might even loosen a bit. You might need to sacrifice a little fudge from the edges and about an inch or so near one of the ends.... get a spatula/flipper underneath it and try to pry/lift it that way. It might even work to cut it in the pan and remove smaller pieces by getting under them. In the future, using a liner would work best. Not sure if this will work, but it might be worth a try: find a dish that's bigger than the dish you made the fudge in, lay the dish of fudge inside, and then pour hot water into the bigger dish. This should cause the edges of the fudge to melt a bit and you might be able to then turn the fudge dish over and get it to come out in one piece now that the edges aren't stuck. Good luck! Prepare another dish with butter...Then microwave you fudge until it's liquid again and pour into newly prepared dish. I'm making fudge and I forgot to get an 8 inch square foil pan. Can I use a hard plastic square pan or a cookie sheet? You don't specifically need to have an 8" foil pan, you can use any kind of pan that is the same size. The larger the pan, the shallower the fudge will be. This is a guide about preventing grainy fudge. 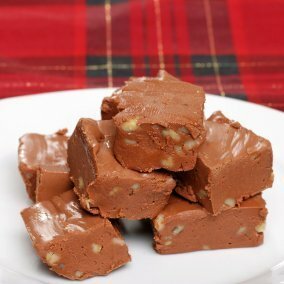 Homemade fudge is a delicious treat. However, on occasion rather that the smooth creamy texture you were hoping for it turns out grainy.